McClure’s fragmented essay chapbook explores in lyrical prose the ways in which our bodies break, fail, overcome, and survive. Winner of the 2017 Newfound Prose Prize, Portrait of a Body in Wreckages is a chapbook-length fragmented essay organized into four sections — Places, Spaces, Desire, and Pain — that explores in lyrical prose the ways in which our bodies break, wreck, fail, overcome, and survive. The beauty in Portrait of a Body in Wreckages does not just exist in the language. It taunts the unnamed “you” to find grace in vulnerability and perfection in damage. The damage may not be repairable, but perhaps it has the ability to change shape and become something new, much like a mutating cell or an aging form. There is a recognition in McClure’s book that we leave ourselves everywhere, even when we have no choice in doing so. The body sheds itself, at least parts of itself, naturally and without conscious decision. “I leave parts of my body everywhere. This is not a metaphor. Skin cells, fingernails, important bacteria, saliva, piss. The portrait of the body that McClure is painting in her prose is one of uncertainty and bifurcation but also hope and endurance. She seeks an absolution that resonates with anyone who has felt outside of his body or at least has felt he’s in a body that has been ousted by a world that will not tolerate imperfection. At times an investigation into the underlying unknowns that attack our bodies, McClure’s prose is also a reckoning by juxtaposing binaries against one another to discover where they intersect: pain and pleasure, violence and kindness. These sharp contrasts bring a sense of understanding and even enlightenment to the confusion that lives in a mind that does not want to reconcile the flaws of the ever-changing and ever-mysterious body. She ruminates on the possibilities of the body from the cellular level to the holistic, the microscopic to the visible. More than a chapbook, Portrait of a Body in Wreckages is admittedly part of a larger literary conversation about the body. Not only does McClure use scientific research as a foundation, but she has a companion website of readings, annotations, and index links back to different parts of the book. She has also compiled a compendium of literature that features the body. The supplemental resources can be found here. Reminiscent of Bluets by Maggie Nelson and The Balloonists by Eula Biss, Portrait of a Body in Wreckages is deeply rooted in the physical experiences of the body while musing in scientific research to find understanding, and perhaps acceptance, of the body’s fallibility. 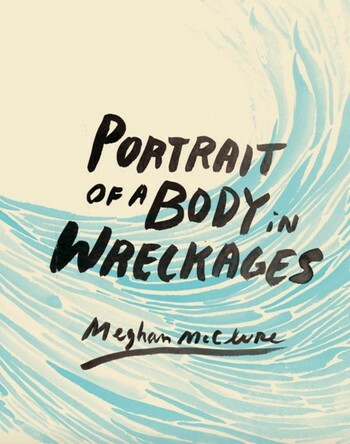 With sharp prose, biting honesty, and vivid imagery, Portrait of a Body in Wreckages will challenge you to consider the portrait of your own body and perhaps to learn appreciation for it just a little bit more. MELISSA GRUNOW is the author of Realizing River City (Tumbleweed Books, 2016) and I Don’t Belong Here (New Meridian Arts Press, 2018). Her work has appeared in Creative Nonfiction, River Teeth, The Nervous Breakdown, New Plains Review, Blue Lyra Review, and elsewhere. Find her at her website.